Joel Thornton is the President and General Counsel for the International Human Rights Group (“IHRG”). He has been engaged in international human rights law since 1997. The work of the IHRG includes helping religious organizations properly define themselves so that they control their own mission and work without interference from the government or partisan groups. The IHRG also works to end human trafficking in this generation. First, they provide legal representation to victims of trafficking in Eastern Europe. Then, the IHRG works to raise awareness, provides legal expertise to organizations fighting trafficking, and works to establish laws in local and national jurisdictions that properly punish traffickers while protecting victims of trafficking. His work with IHRG also includes working as the head of Olympic and World Cup Legal Task Forces to protect the free speech rights of many different groups during the Olympic Games and the World Cup Soccer Tournament. This work includes working with the organizing committees of both groups to shore up their understanding of the rights of individuals during the events. Before founding the IHRG Joel was Senior Counsel and Chief of Staff for the American Center for Law and Justice based in Virginia Beach, Virginia. He began working with Jay Sekulow while attending Georgia State University College of Law in Atlanta, Georgia. From 1997 until 2004 Joel was Senior Counsel and United States Liaison for the European Centre for Law and Justice based in Strasbourg, France and the Slavic Centre for Law and Justice based in Moscow, Russia. 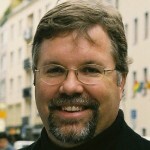 Joel lived in Strasbourg, France where he served as the Executive Director of the ECLJ from 2000 through 2001. Joel is also the former Chief of Staff to John Barge, the Georgia State School Superintendent. During his four years as Chief of Staff Joel oversaw the running of the Georgia Department of Education. He interacted with the Georgia General Assembly, the Governor’s office for Georgia, and the Council of Chief State School Officers (CCSSO is a trade organization that is comprised of the State School Superintendents of all 50 states and the territories of the United States.) At CCSSO Joel was a member of the Deputies Leadership Committee for nearly three years and he served as President Elect for one year. Joel also began the Anti-Human Trafficking Imitative at the Georgia Department of Education. This initiative set up curriculum for use in Georgia’s public schools and organized a series of conferences designed to train education professionals on the issues surrounding human trafficking, both domestically and internationally. The final event was held at the Jimmy Carter Presidential Library in downtown Atlanta, Georgia. Joel also served on the management team and as the chair for Work Group 5 for the Georgia Statewide Taskforce on Human Trafficking. Joel took a short leave of absence from the Georgia Department of Education to manage the John Barge for Governor Campaign. Joel is also a founding partner of Global Partners: Strategic Services which is an education consulting firm specializing in career pathways development in schools across the United States. His partners and Joel work with school districts and state agencies to provide services that are proven to help better educate our children. A member of the Georgia State Bar, Joel has worked on a variety of cases at the European Court of Human Rights in Strasbourg, France. Some of these cases include: Christliche Gemeinde Koln v. Germany, Konrad v. Germany, and the Salvation Army of Moscow v. Russia. Joel represented an American client in the trial court in Norway on an issue of free speech. Additionally, he has provided legal advice to European attorneys working on a variety of other cases before their national courts. Joel has published a novel, Southern Justice in 2008 and a work of non-fiction, People Making A Difference, Volume 1 in 2010. Joel has worked on a variety of legal research and writing projects with Jay Sekulow, including Canadian Free Speech Rights, Knowing Your Rights by Jay Sekulow, “Government Intervention in the Church” by Jay Sekulow (published September 1990, in Charisma magazine), and “Student Rights and the Public Schools”. Joel is the author of “A Field For The Harvest”, a pamphlet on students’ legal rights that distributed over 3 million copies. He also worked with contemporary Christian singer Carman on the legal background research for song and video “It’s Our Turn Now”. Joel worked closely with Jay Sekulow on his publications From Intimidation To Victory (Charisma, 1990) and And Nothing But The Truth (Thomas Nelson, 1996). Joel was a keynote speaker at the International Symposium on Innovation in Education in Seoul, Korea in July 2013. He was also a guest lecturer at Regent University School of Law’s International Human Rights Institute in Strasbourg, France in July 2000 and July 2001. He was a guest lecturer at Regent University School of Law in Virginia Beach, Virginia in a variety of constitutional law classes from 1995 through 2003. Joel Thornton has appeared on a variety of television programs discussing American and international human rights issues. He has appeared on the 700 Club on numerous occasions, was a regular guest on “And Nothing But The Truth” with Jay Sekulow, “A Call To Action” with Jay Sekulow, made a number of guest appearances on “Praise The Lord” on Trinity Broadcasting Network, and various interviews for television news broadcasts. Joel also served as the Executive Producer, Producer, and Guest on “Reach Your World” a back-to-school special on Trinity Broadcasting Network. He has also appeared on a variety of Christian radio programs including, Janet Parschell, Phylis Schafley, Jay Sekulow, and a variety of secular and Christian news programs.